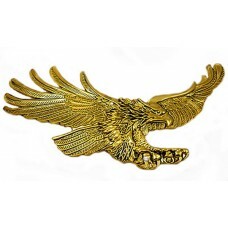 Antique gold screaming eagle emblem looking to the RIGHT is 7 inches (185mm) long. Lays flat and will fit the GL1200 windshield panel trim but WILL NOT fit the GL1100 windshield panel trim due to the ridge in its design. 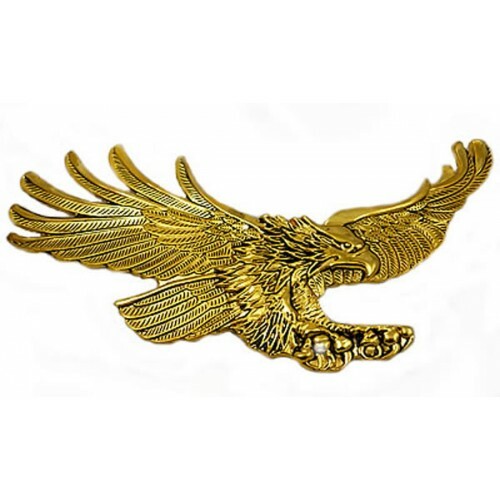 All emblems are metal plates with double-sided adhesive foam backs. NOTE: The LEFT facing version of this emblem is 94-526L. Denne hjemmeside benytter Cookies for at kunne gemme dine oplysninger på siden..
Tryk venligst OK hvis du accepterer.